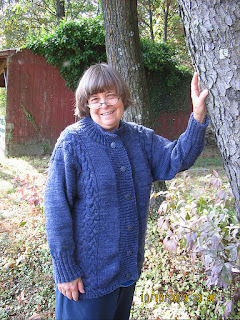 Today’s guest post comes from Nancy, who blogs as dogear6 at Living The Seasons. Nancy also has another blog at A Daily Life, that serves as a resource for writers, diarists, and bloggers. That's right, because I can do it. And so can you. Last year, I coordinated and participated in a daily random word challenge. Each day, myself and other participants wrote a post, using a word that had been randomly selected by the computer. My first posts were mostly a definition of the word and a picture, with maybe a paragraph as to why I picked that picture. Slowly I began writing better content to where the posts meant something to me and were something I wanted to share to encourage others, amuse them, or point out beauty. I got really discouraged in early July because I had so much I wanted to share but the random words restricted my choices so badly. I realized that I had to be more creative in using the words while posting the topics I wanted. By the end of 2011, my posts had quality and quantity. There were very few topics left in my journal jar as I'd managed in someway to get them all out. Having finished (survived) a daily challenge, I highly recommend it. It's a great way to get consistency, get into the habit of writing, and train the muse to show up when needed. At the end of it, you have a body of work. · Look up the meaning of the word in Wiktionary. · Use Wikipedia to get some background information. · Look up quotes that use the word. I might use the quote in my story, sometimes it was just a tool to get my ideas flowing. My favorite quote place is Brainy Quote, but you can find all kinds of quotes by using Google. · Look up the word with Google and just see what happens. · Look through my journals for something I may have written with a theme similar to the word (i.e., in my backspace posting, I looked for things I’d expressed regrets about). · Brainstorm with my husband. He has a good sense of humor and is usually up to making suggestions. I may not like his ideas, but he’s a good resource to get my brain unstuck. Once I got my ideas flowing, I developed them into a story with a beginning and end, as well as an explanation of why it was important to me and what I’d like for my family and friends to remember. I used the writer’s favorite five W’s – who, what, when, where, and why. They’re a reliable tool and give good structure to any story. I hung in there every day, even when I didn’t feel like doing the word of the day, even when I didn’t know HOW I was going to use the word of the day, even when I didn’t want to spend more time at the computer after being at work all day. It was worth it to share my thoughts, get the feedback, hear from my friends (old and new), and bring joy to those around me. Each time I thought of skipping a day, I’d think a) the other participants will be posting and I have to keep up; b) my Mom will miss it; c) my girlfriend’s daughter will be looking for more dog pictures; d) it greatly amuses everyone to see how I use today’s word and e) if I want to write, I need to write. And so I wrote. It’s hard to pick several favorite posts from 2011. I did a lot of good work in the challenge. Several particularly noteworthy posts include Culture Norms Are A Pile of Moose Muffins (about my cousin who had Down’s syndrome), Phase of the Summer (about fleeting days), and Moo Cards Explain Me (who I am, using the word of the day “moo”). So do the A to Z Challenge! Some days will be easy, others will not. You’ll have good posts and mediocre ones. That’s okay – the game is to show up each day and do it. With practice, you’ll get better and so will your creativity. Please note that my materials are copyright by a Creative Commons Attribution license. For more information, visit or contact me at www.livingtheseasons.com. The list is open. You can now sign up. Please enter your information carefully so that the link goes to your blog. If you haven't read the A to Z posts that appeared on this blog over the last three days, I would suggest that you scroll down this page and read through them. There is information that is very helpful to you if you will be participating in the Challenge. Also, please stop by the co-hosting blogs to let them know that you have signed up for the Challenge. Show us your appreciation by becoming a follower of our blogs and introduce yourself to us. You can find the list of A to Z co-hosts to the right of this page about halfway down the sidebar. 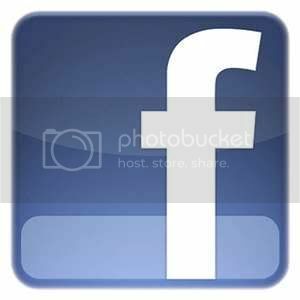 While you're on the sidebar please become a follower of this blog and click that you Like Us on FaceBook. We have added Contact Us and Frequently Asked Questions (FAQ) tabs to the A to Z page in case there are things you need to know or problems that you may have concerning the Challenge. Let us know if you find a link that you think is faulty or directs you to a non-participating site. We are going to try to keep the list filled only with active A to Z participants, but we will need everybody's help to do this. After today, the A to Z Linky list will be found at one of the tabs at the top of the page. And now that you're signed up, feel free to meet and greet the others on the list. April is sooner that it seems! Many of you reading this know about the April Challenge, but there are still some of you who have heard about Blogging from A to Z and don't know what it is. Or perhaps there are those who are still trying to decide or are even afraid to try it. Don't worry--it's all in good fun! If you're new to the A to Z Blog, be sure to click on the tabs at the top of the page to see if that information answers your questions. There are a couple of polls in the sidebar for you to answer if you'd like to express yourself. And please click the "friend connect" button to become a "Friend of the Alphabet". That's not the same as the sign-up list but it will keep you connected to the official Challenge blog. The sign-up list will appear this coming Monday January 30th. You will be able to find it at the A to Z Team of hosts' blog sites and on this blog. The A to Z Team blogs are listed about halfway down the sidebar to your right. Be sure to visit all of the blogs of our Team members, drop in to say hello, and follow our blogs. We will all have our own updates in addition to the ones on this Challenge Blog and each blog host may have their own special surprises along the way. Don't miss out on that part of the fun. Alex Cavanaugh talked about the Linky List yesterday on this blog. If you missed that post be sure to scroll down and read it. Tomorrow we'll have some last minute business before the big day on Monday. 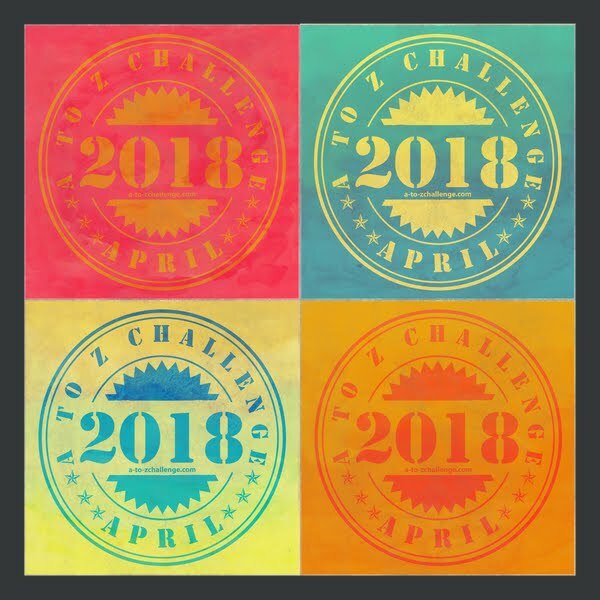 After Monday the Blogging from A to Z April Challenge Blog will continue presenting daily posts with Challenge news and helpful tips about doing the Challenge and blogging in general. Be sure to check into this site frequently. Add the official A to Z Badge in a prominent place on your site. The top of the sidebar is probably best. Announce to other bloggers that you will be participating in April by displaying the official logo. Use the code under one of the badges on this page to place it on your site. There are a couple of animated A to Z graphics that I'm sure you've seen. These were created by co-host Jeremy at Retro-Zombie. If you copy the code beneath each of these you can transfer this code to your own blog design page and you will have your own animated banner or button minus the code. It makes a snazzy addition to dress up your page and show your enthusiasm for the Challenge. If you still don't know which animated pieces I'm talking about, it's the apple to zebra banner at the top of this page and the flashing letters of the alphabet about halfway down the sidebar. They'd look very nice on your blog. Plan a post about the A to Z Challenge. Let your regular readers know what you'll be doing in April and encourage your fellow bloggers to join you. You can do one or as many posts as you like about the Challenge. Talk about previous years, what you plan on doing this year, or ideas that you think might help others. This provides your blog content and gets the word out to others. Spread the word about the April Challenge. Shout it out on Facebook, Twitter, or whatever social media you like to use. Let others know that the sign-ups will be starting and let them know when you've signed up. Let's make the first day of sign-ups a big splash. Follow the A to Z Challenge Facebook page. Also click the follow button for Networked Blogs. Help the A to Z presence grow. You are a big part of the success of A to Z. Last year was a hit because of wonderful bloggers like you. We're going to make 2012 even bigger and better. Some of you have been putting up some wonderful promotional posts to spread word about the A to Z Challenge and that is greatly appreciated. There are posts like the one found Sommer Leigh's blog. That's the kind of post that will stimulate more interest as it explains what the Challenge is all about. If you blog about the Challenge, let us know here in the comments or by sending one of us an email. We'll try our best to get you and your post recognized. Thanks for your help and participation. Now let's do some prepping for Monday's big day. With the sign-up for the A to Z Challenge starting on Monday, some of you may have questions and concerns. There were almost thirteen hundred participants last year and some people felt overwhelmed. Some signed up but never posted. A few sites were nothing but advertisement. This year, we are prepared! The sign-up list will be monitored by all thirteen hosts. We will check every link before the Challenge begins. This should eliminate advertisement and ghost sites. Once the Challenge is underway, non-participating blogs will be removed. Now, we will give people a chance to get started and benefit of the doubt if they miss a post or two. No problem! But those who fail to post over a long stretch or at all will be removed as soon as they are discovered. Wasting time visiting sites that weren’t participating was a complaint we heard often in 2011, and we want to maximize everyone’s time this year. Don’t overwhelm yourself trying to visit everyone. Can you visit just five a day? Start with the one after yours and visit five each day – after twenty-six days, that’s a hundred and thirty blogs. Everyone on the list has time to visit five new blogs a day! By implementing all of this, we hope that everyone will have a great time during the Challenge. Because if you don’t have fun, we don’t have fun! And for me, that is cause for Epic Ninja Fail…. Today, January 26th, marks a first year anniversary for Mish's blog Writer-in-Transit. 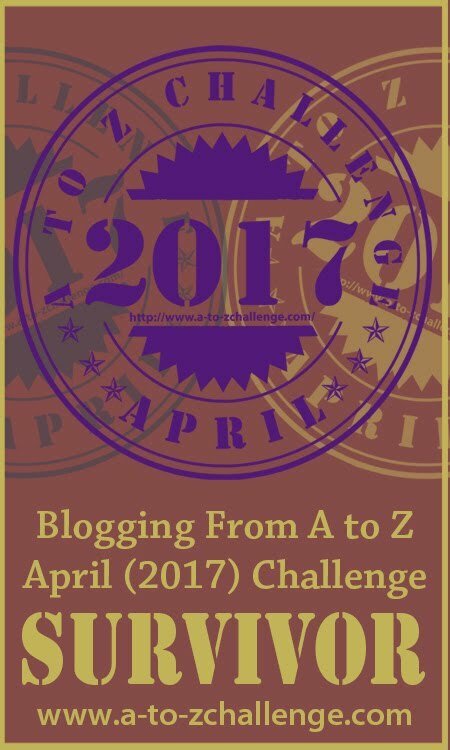 As part of her celebration of blogging she is here to tell about her love affair with the Blogging from A to Z April Challenge. No matter what people say or how much you read about a whirlwind romance, nothing can prepare you for the experience! Last year, I had a holiday romance. My very first! You know the one where you live in the moment; steal away to connect at every available spare moment; experience that heady anticipation; constantly think ahead to the next tryst; you know it cannot last forever but you can’t help yourself anyway… you are sucked in by this entire episode. Sadly, there was no one to greet me at the end of my Zip-a-dee-doo-dah post. I even re-worked the lyrics of that rather infectious, happy-go-lucky-not-a-care-in-the-world styled song, to suit the mood of that moment. Now to the good news!! This whirlwind romance will resume in about 2 months time. I can’t wait for it… the anticipation… the trysts… the frenzy… the feeling of being swept away on a sea of emotions… and I will be there, wearing my heart on my sleeve! 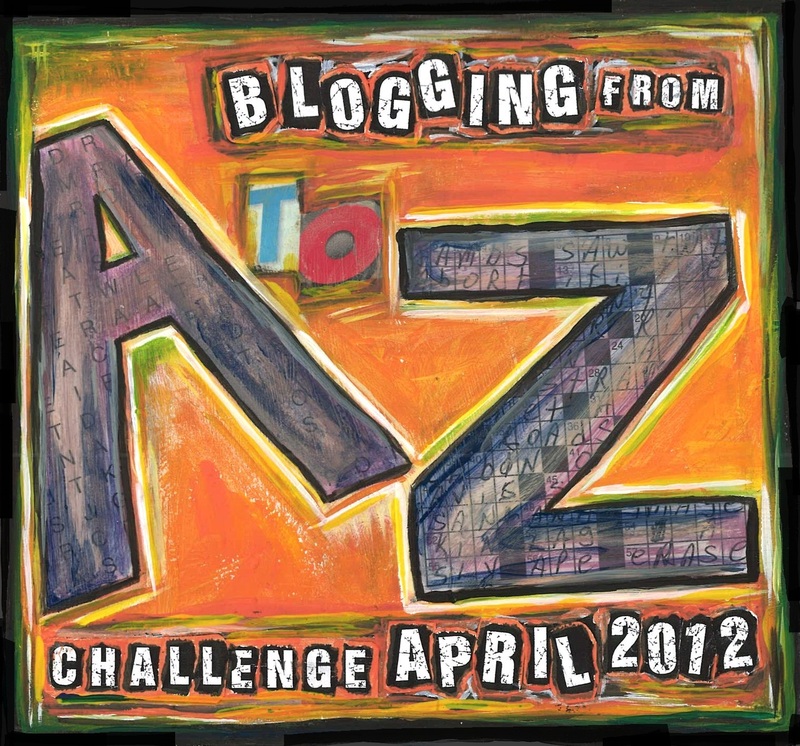 Some steamy fun ahead for the participants of Blogging from A to Z April Challenge. Sign-ups begin on Monday January 30th. Are you ready to be "swept away on a sea of emotions". Now hop on over to Writer-in-Transit and say hello to Mish and a bon voyage for her journey into another year of blogging and a new A to Z Challenge. Thank you, Mish, for visiting us today. With all the frenetic buzzing around A-to-Z preparation, it struck me that I was forgetting one important factor: my current followers. Last year when I participated in the A-to-Z, I had two followers (no idea how they'd found me), so it wasn't an issue. I hadn't really established what I was even blogging about from day-to-day. I think I had three posts, total. This year, however, I'm approaching the A-to-Z with some actual followers and a fairly regular schedule. While many of those followers were gained during last year's A-to-Z, not all of them were, which means putting my regular blogging schedule on hold isn't necessarily feasible (or the best thing to do). I'm in the A-to-Z to meet other bloggers and writers, as well as to challenge myself and have a good time; I'm not in it to lose the followers I currently have! As such, my plans have changed a bit on what I'll be posting during the A-to-Z. I can't forget the readers I already have, while reaching out to those who are new to me. My regular schedule will be worked into the theme of my A-to-Z posts to insure everyone is included. So, as you plan (or not) what you'll be posting during the A-to-Z, consider taking a moment to figure out how to keep your current followers happy, as well, especially if there is a theme or meme that draws a lot of readers your way on any given day. You want to include them in the fun! Hello again, Alphabet Fans! Lots of excitement out there in Blogland! It's been such an adventure already to meet so many of you, visit your blogs, and hear YOUR excitement about the upcoming challenge. As you've probably noticed, this blog is an equal opportunity posting place. If you're going to be joining us for the challenge, you're invited to submit a post for approval and be another contributor here! If you'd like more info, check out this invitation post. If you've been reading this blog for a while, you may have noticed that a common thread is the idea of pre-scheduling posts. That way when April rolls around, you've got some already set. For example, let's say that you're going skiing for the weekend and will have no time to blog. No need to fall behind! Write your posts for those letters, schedule them for the correct alphabet days, and then enjoy your trip. What's that? You don't know how to schedule a post in advance? I didn't either. I've been a writer my whole life, but didn't start blogging until a few years ago. I've been learning how to best utilize all the great features that blogger offers one baby-step at a time. Let me show you how easy it is to do. Now all that's left to do is hit “save”! So be careful out there on the slopes, and just leave it to blogger to post your brilliant piece while you're swishing down those steep hills, in that wonderful champagne powder...(can you tell I'm a frustrated former skier?) (If you want to know why it's former, check it out this post at my own blog, Life is Good). tndowney at gmail dot com. I'd be glad to walk you through it. Are you having as much fun with the alphabet as I am? I've been preparing my A to Z posts and having a great time with it. 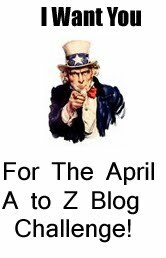 I think I've come up with some fun A to Z posts for April and maybe some surprises. Since last year I'm sold on the idea of preparing posts ahead of time so I can do more visiting come April. Alana Garrigues talked about the idea of preplanning in her A to Z guest post this past Monday. If you missed Alana's post, it's well worth your time to go back to visit it. She provides some excellent tips on how to tackle the Challenge and breaks things down into some easily digestible bits. Write a 26 word glimpse of a story or poem in which each word begins with a different letter of the alphabet, in alphabetical order, from A through Z.
Alana suggested I put my attempt here which was exactly my idea as soon as I had finished writing it. See how much inspiration the alphabet can offer. The biggest A to Z news this week was the announcement of the A to Z Video Challenge. If you like to make videos I encourage you to try this. Contrary to some of the comments we received, making a video such as this doesn't have to require immense video making skill or many hours in creating a video. You can make a pretty decent video entry in an hour or even less. Try it--you might like it! And the more entries we get, the more fun prizes we'll come up with. So there you go. Lot's happening in Alphabetland. The April Challenge sign-ups are now only a week away. Are you ready for the fun? Last April was my first attempt at doing the A to Z Challenge. I signed up on April 1st; I had only found out about it on March 30th. By letter “C” I had my groove on and was letting the juices flow. Having no time to prepare for the challenge I was clearly at a disadvantage - my day to day activities did feel the pinch and sleep was lost in the process...but, By George I sure had fun! Is it necessary to have your posts finished and ready to hit the Publish Button well before April? Some say yes, I say not completely...let me explain. It is a challenge set forth for the month of April, to be done in April...so why all the fuss about having everything finished before the Challenge has even started? Well, I imagine getting organized early falls into a few areas of concern; finding a theme; having the available time; commitment to a day job; family obligations; other interests...and so on. All of these areas do affect how much time we spend blogging and therefore a little preparation can go a long way in helping us participate in a Challenge that has very clear time constraints, without messing up our lives completely. Right? It’s no different than preparing for your first marathon - you don’t just lace up your runners, arrive at the starting line and run twenty-six mile without some preparation. Key word here is “preparation”; so when April 1st rolls around you can enjoy the process of “doing” the Challenge because you are ready, organized and have prepared for it. Now, that being said, I will have much, if not all, of my “stuff” done because, as a co-host, I want to spend every free minute, in the month of April, visiting YOU and reading your posts! What are your “preparation” strategies for this upcoming A to Z Challenge? Are all of your posts finished and ready to go? If so, what will you be doing in April? Hey A to Z bloggers! I know that there have been many comments since the A to Z team was announced this year that bloggers were terrified to do the challenge. Lots of us (myself included) aren’t/ weren’t sure what to blog about starting from A to Z. And I also know that many participants from last year gave encouragement saying things like ‘Once you know what you want to blog about, the rest is as easy as the ABC’s! (Okay I don’t know if anyone Actually said it like that . . . but you get my point). Well after all the encouragement I forced myself to buck up and think of some really good idea’s to blog about. And guess what! It worked! I know what I am blogging about for the entire month of April. And I am here to help you get some ideas. What helped me was thinking about what I have posted about before, what posts of mine have gotten the most attention and what information I have that I can give that no one else can. My entire alphabet of posts for April are all based on Inspiration. Another example: I found a blog all about camping and hiking and doing things related to that. 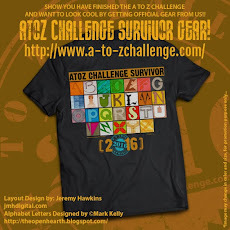 The person running the blog talked about doing the A to Z challenge and that all their posts would be camping related. Best of luck! I look forward to seeing what everyone comes up with in April! 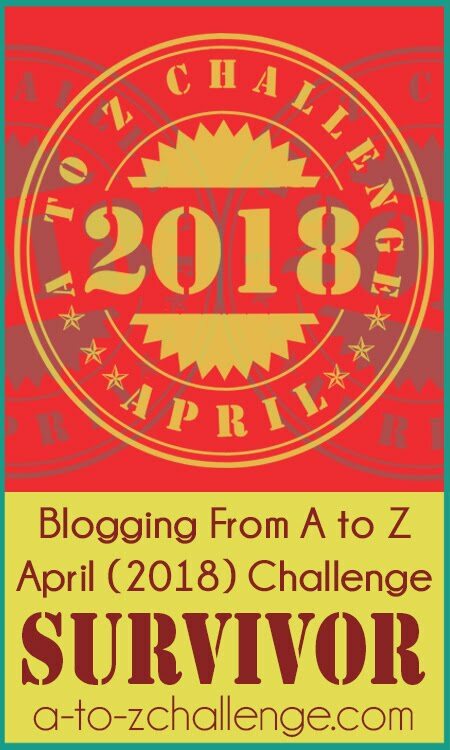 From its inception the Blogging from A to Z April Challenge has been an international event with bloggers from nearly all continents participating. In 2012 we will be joined by jnana from Spill Beans. Jnana blogs from Dubai. Image via Wikipedia For some writers, writing is a ritual. They wake up with a fresh mind and sit down typing their daily blogposts as they sip their morning coffee. For other writers, it is a hobby. They wait for that time of the day when there's no urgent work, and then happily spend their free time spilling out their day's energy into writing. But for me, writing is all about my mood. I could go a month without writing anything, simply because I don't feel like it. Or I could be sitting on the metro after a long, tiring day when I get the sudden urge to write. I could be going to bed when I'd randomly get a new idea for a blogpost, and hurry to write it all before it slips through my very slippery mind. 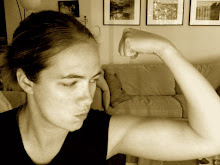 All of us Moody Writers out there have only one solution to our writing habits: self-discipline. Which is why I have resolved to participate in this April's Blogging from A to Z Challenge. It's time I start dragging the writing by its leash to me, rather than waiting for it to come to me. I've read of the many different plans my fellow participants are coming up with for this year's Challenge. Frankly, if I don't arrive with a creative theme or unique edge, I'd still be happy with just being able to conquer the hugest challenge of having to post every day. Thank you for coming up with this idea. I hope to keep up with this challenge and declare myself at the end of it: an un-moodified writer! And thank you jnana for your interesting take on how bloggers can benefit from Blogging from A to Z. Be sure to stop by jnana's blog at Spill Beans--say hello and maybe become a new follower. Are you ready to sign up for the A to Z Video Challenge? We hope so! The A to Z Video Challenge is a bit of an experiment so we hope you'll bear with us if we occasionally have to tweak it a bit over the course of the next       couple of months. Please feel free to provide any suggestions or comments that might help   us in this              experiment. And of course, feel free to ask any questions you may have about the Video    Challenge. These great videos are from Ron Easton and Ada Zdanowicz. Each of them provides an example of what your video entry should include. whatever style you choose. But for the sake of uniformity we  have some rules. 1. Videos should be no longer than 2 minutes in length including credits. 2. Subject matter of video must pertain in some way to the Blogging from A to Z April Challenge and include the site address of a-to-zchallenge.com prominently in the video. 3. Content should be suitable for general audiences. 4. The video must be new and made for the A to Z Challenge and it must not have been previously posted online anywhere including a blog or website. 5. Videos must be downloaded to YouTube or a similar site where they can be shared in order to allow them to be placed on the A to Z Blog and to be linked to for viewing purposes by the audience. The video creator should place their entry or entries on their blog or web page if they have one. The entered link can correspond to any of these placements. 6. All videos will remain property of the creator with permission granted to A to Z Blog for exhibition on that site. 7. Finalists will be chosen by a panel of judges that may include A to Z Team members or others selected by the Team to act as judges. Videos will be accepted for judging until 11:59 PM EST Sunday March 11, 2012. 8. Winners will be chosen in a vote by the A to Z audience between March 15th and 19th with winner(s) announced on March 20th. Voting will close at 11:59 PM EST on March 19th. 9. Number of winners may vary depending on number of entries received. If there are enough entrants categories such as most creative, funniest, best animation, or others may be opened per judges determination. 10. Prizes will be determined by the A to Z Team and subject to any additional prize donations. 11. Rules for the A to Z Video Challenge may be subject to minor adjustment depending on number of entrants or other unforeseen factors. We hope this is simple enough for everyone to understand. If you have questions please ask. Now about the prizes. Since this is a rather hastily assembled contest and an experiment at that, prizes will be limited primarily to promotion and recognition. 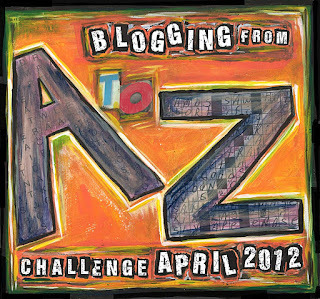 Winners of the Challenge will be given special guest or feature opportunities on some of the A to Z Team Blogs. 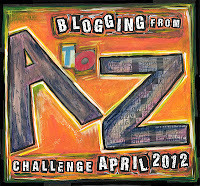 All video entries will be featured on the A to Z Blog with winning videos featured again in special promotional spots on the A to Z Challenge Blog after the Video Challenge has closed and during the month of April. As stated at the opening, this A to Z Video Challenge is an experiment we are trying out this year to see what the level of interest is. If all goes well, perhaps next year we'll start putting this Video Challenge together earlier and get some bigger more tangible prizes. But the exposure and promotion gained for your blog, website, or video-making talent can be very valuable gaining you new fans or even clients. And the bragging rights could be fun too. As the Challenge continues this year we will probably see some surprise prizes appearing along the way. It probably won't be big cash awards or expensive premiums, but we might be having some fun things to add to up the ante. It depends on how many of you enter the Video Challenge. So now for the entries. The entry form is included in this post today and will continue to be found at the top of the page by clicking the tab marked "A to Z Video Challenge Entries". Fill in the form with the link where your video can be found, your name or the name the entity submitting the video (blog, website, company, organization, etc), your email address so we can contact you (this will only be seen by Challenge administrators), and tell us if you will be participating in the Blogging from A to Z April Challenge. That's all there is to it. So if you already have a video made, then submit your information now. Or come back later and submit it when your video is ready. You have nearly two months to submit your video since we will be accepting them until 11:59 PM EST of Sunday March 11, 2012. But please don't tarry. We're anxious to see your videos. Elaine Shanks is ready for the upcoming Challenge. 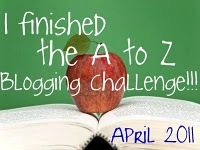 Today she reminisces about her experience in the 2011 Blogging from A to Z April Challenge. 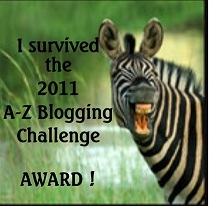 I don't remember how I discovered the 2011 A to Z Blog Challenge. One day it wasn't on my radar and the next day it was. Anyway, I digress. So I quickly hit the “join” button. That day was in late March. I feared I was already “behind” in the preparation. People had been signing up for a few months. Gosh, only one week for me to prepare. But my brain bubbled with ideas and my key board got a work out that week. 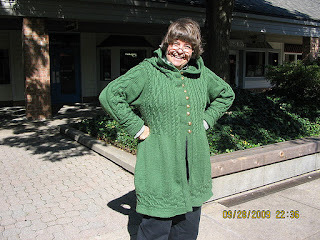 I remember that first day – April 1, 2011 – visiting blog after blog eager to see who was doing what. I felt like I had joined hands with a cyberspace crowd of bloggers and we were off and running together. It was very exciting. I made sure that I wrote and “schedule to publish” 4 or 5 postings ahead. Keeping “ahead” seemed like a good idea. I wanted no pressure. I wanted to keep up. I wanted to rise to the challenge and finish with everyone. I wanted to enjoy the “high-fives” of all my companions in this cyber neighborhood and enjoy the fruits of everyone's labors. And I was thrilled when someone stopped in to visit and comment. I was filled with great Enthusiasm. (I love my E word - Enthusiasm is infectious. I love it in myself and in others). Then, in mid April, it all began to fall apart. Oh, I had 4 or 5 postings scheduled to be released in the near future, but my blog writing stopped dead. You see I am a caregiver for my 85 year old mom and the winter of 2011 was very difficult for her. In April she became ill and was hospitalized. My brain was now focused on the part of my life (elder care) that was always filled with Unexpected events. (I am not a fan Unexpected - so U has been taken off my list of good letters). And so I watched from the sidelines as my 4 or 5 blog postings automatically published. Then I watched as my blog fell silent. Sometimes I would take time to peek at the other blogs – those that were still going strong … and I felt … let down. I wouldn't finish with the rest. But I am not a person to be kept down for long. I am Persistent – some might say stubborn. And come April 1, 2012 – I'll be back! I will start again with the pack. I will plan 4 or 5 posting ahead, because you never know what kind of curve ball life will throw at you. And I plan to finish with the pack. But if not, I will finish … 'cause it is just that much fun. We will "meet" again on April 1, 2012 at the starting line ... I can't wait to see you there. I have been blogging since July 2010. 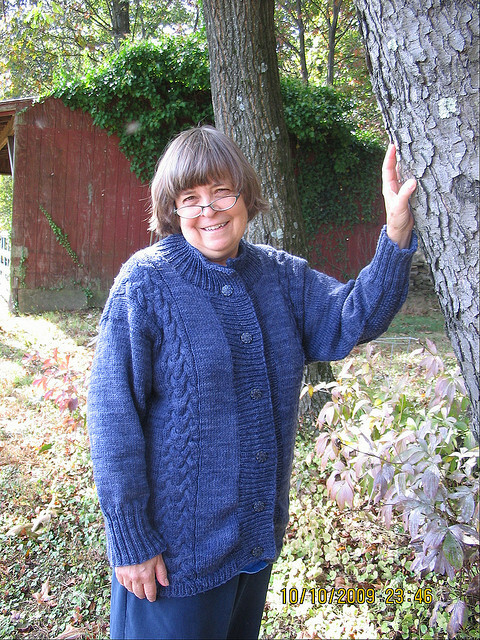 I am retired, a knitter, a knitting group coordinator, an elder caregiver, an enthusiastic starter and a persistent finisher. I am also "grandmother" to 3 fabulous dogs - Meathead, Grimace and Milo. And like the rest of the world, I am trying to be better to myself - diet, exercise, friends and family. All these things are part of my next 20 years - and part of my blog. All I can say is not bad Elaine. Not bad at all. Thanks for sharing your thoughts on the A to Z Challenge. You are a winner!